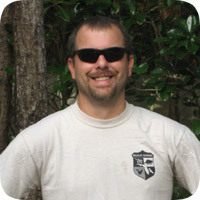 My name is Mike, owner and operator of Tampa Wildlife Removal. I operate a fully licensed and insured wildlife control company, servicing the greater Tampa Bay area. I am college educated, with a lifetime of experience working with animals, and a strong understanding of wildlife ecology and building architecture and home repairs. I believe in professionalism and courtesy, and I treat all customers the way I'd like to be treated. When you call, I will answer the phone, and I will come to your house to do the work. You won't be calling into a dispatch center and getting whatever careless employee they send out. I take great pride in my work and pay great attention to detail. The quality of work and the success rate in nuisance wildlife control varies greatly depending on the knowledge and skill level of the person performing the work. I guarantee my personal best every time. - -> If you are unsure as to whether you should hire me, please see this picture for more convincing. Mike's Biography: Mike was born and raised in Tampa and has always loved being in nature. As a boy Mike always preferred to be outside studying wildlife and interpreting animal behavior rather than being indoors. Tampa, being a large growing city with steady growth has had a tremendous wildlife population. Mike understands that even though we might not want to share our homes with the wildlife they still have a right to live here, so his philosophy is too remove nuisance wildlife from your home as safely and humanly as possible. Mike has trained under some of the most professional, hard working, labor intensive nuisance wildlife trappers in the business and will use his knowledge and experience to work for you. Mike has also had the opportunity to apprentice under a master carpenter, which allowed him to learn the skills necessary to make repairs to your home. As a homeowner and a family man with a wife and two children, Mike understands the importance of a job well done. Mike is extremely professional, courteous, and prompt. He loves to provide customers with wildlife education so they can make the appropriate decisions that are best for them.